What started as a regular Wednesday this week, turned into a Twilight frenzy. 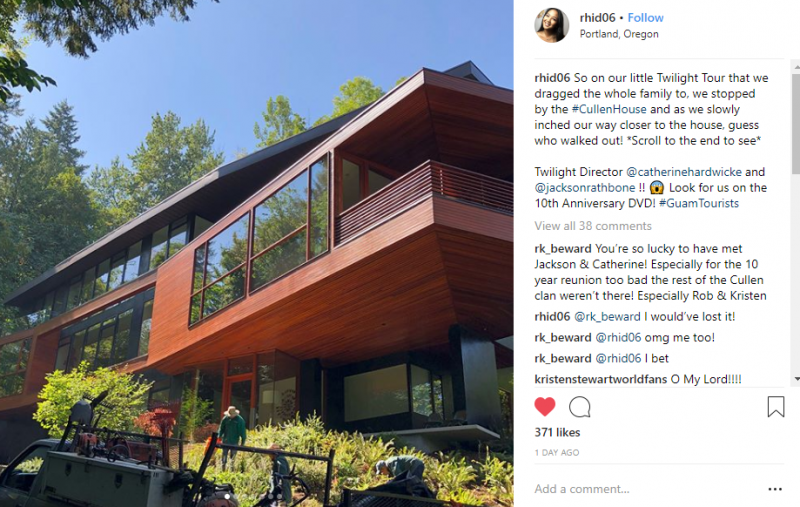 After returning from being downtown Portland all day I noticed a few tweets about Catherine Hardwicke and Jackson Rathbone at the Cullen house in NW Portland. 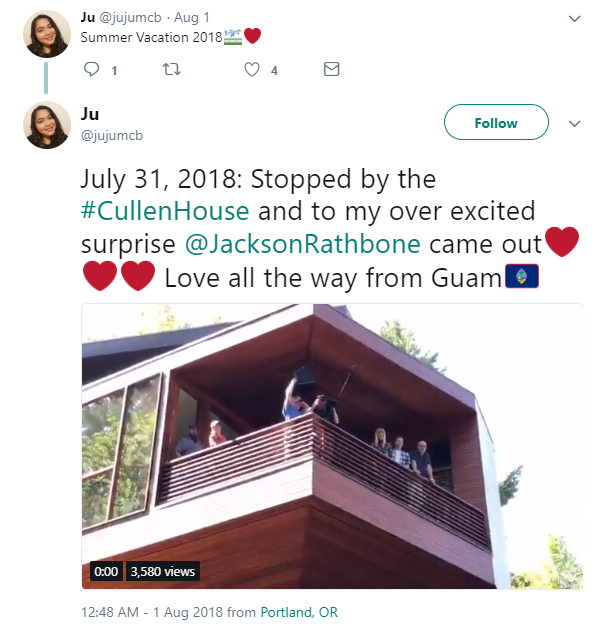 A very lucky fan from Guam was visiting the house when on the upper balcony Catherine, Jackson, a cameraman and another person came out and waved to her. She was quick enough to video them and take a few photos. 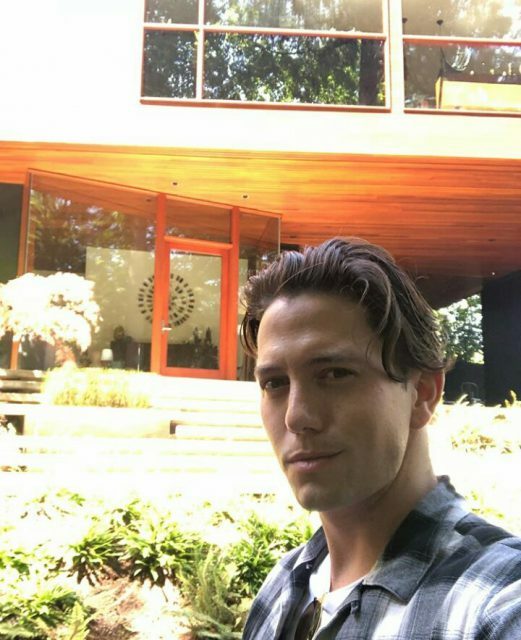 Jackson Rathbone had also put on his account two photos taken in front of the house. It was quite the excitement for Twilight fans. 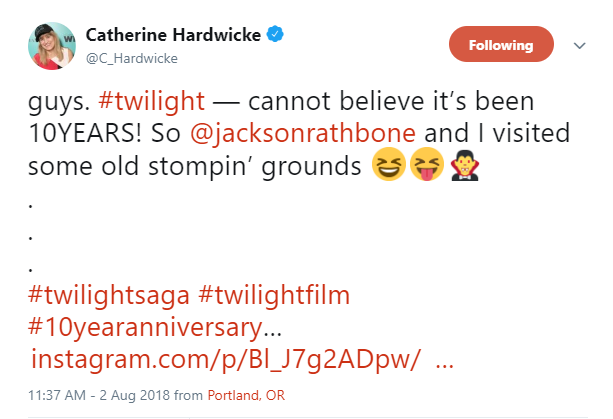 It was mentioned that they were here in Portland to film for a Twilight 10th Anniversary DVD. 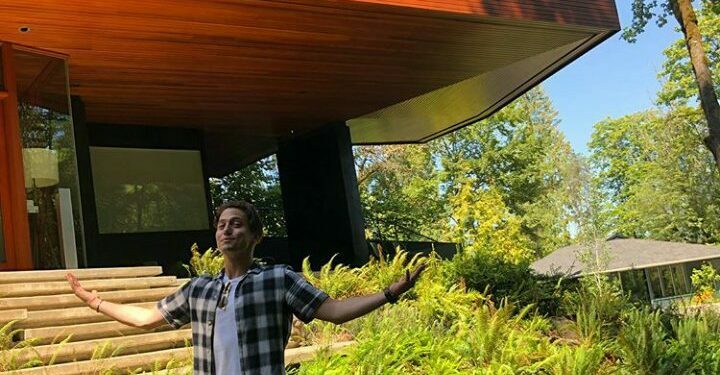 The next day Catherine Hardwicke released a couple of photos of her and Jackson taken the day before at The Shire. They were at the baseball field being filmed. 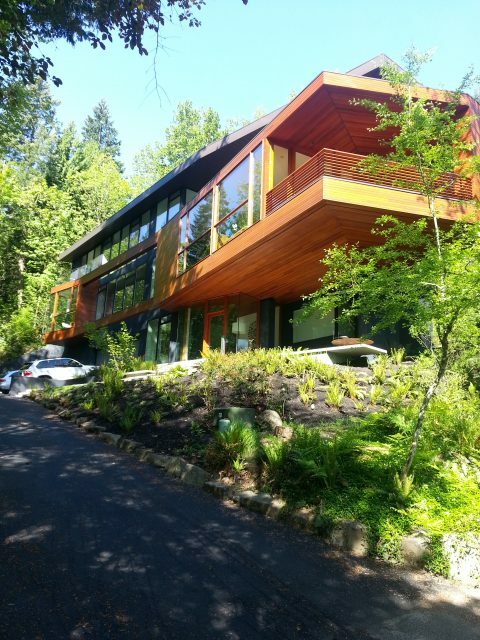 I set out the next day to check on a few other Twilight movie locations hoping to spot them. No luck. I believe that Catherine may have been here earlier in the week filming in the sunny weather. 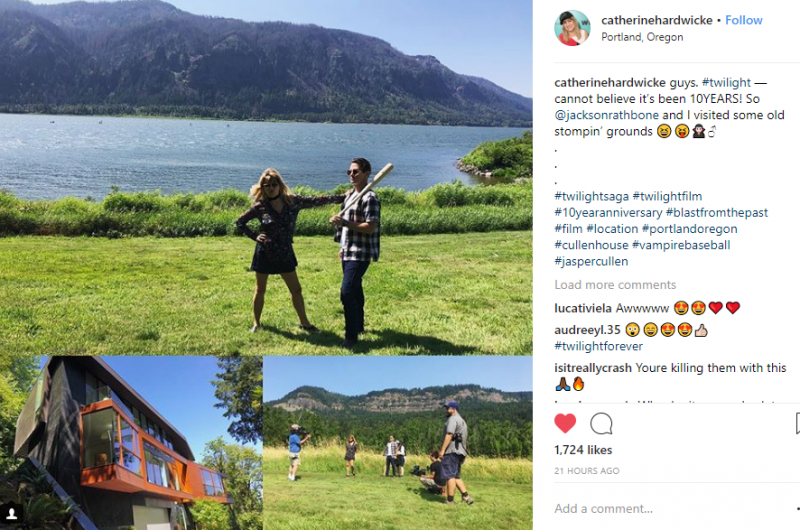 I sure hope that she or other cast may arrive back to the Portland area for filming. 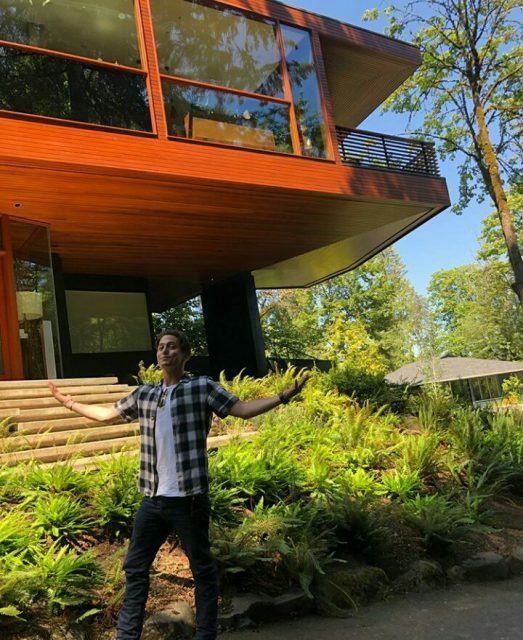 Now its probably a wait till November for the release of the dvd.